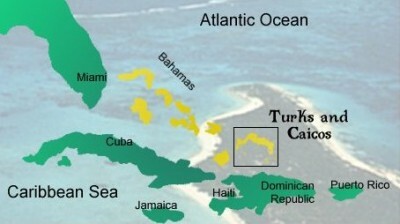 Geographically, the Turks & Caicos Islands are part of the Bahamian island chain. The Turks andCaicos Islands consist of two banks of land which rise to a height of 9842 feet (3000 meters), with only the last 140 feet or so above water level. But how were they formed? During the Triassic period, 200 million years ago, the earth’s only land mass, Pangea, broke apart and slowly drifted to form the continents we know today. 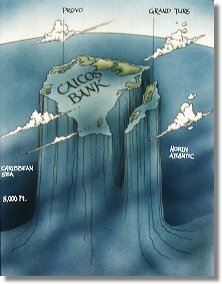 The Turks and Caicos Banks, like the Bahamas, are built on pieces of the continental crust that broke away when North America separated from West Africa. These remnants of continental debris are buried under thousands of feet of limestone rock which has been formed by the decomposition of skeletal remains from marine organisms and precipitation of calcium carbonate material. Precipitation is a process where, under the right conditions, the dissolved minerals in the sea water are deposited to form small particles called ooids. These ooids then cement together to form oolite rock, which makes up most of the Turks and Caicos area. Additional rock was formed by the fossilized remains of plankton, algae, coral, shellfish, and the waste pellets of flat fish. During the Cretaceous period, 100 million years ago, the Turks and Caicos area was part of a coral reef system that stretched a thousand miles along the edge of the Atlantic ocean. Some of the fossilized reef can be seen exposed on West Caicos. These reefs grew for millions of years. During that time, the earth’s climate changed, bringing with it changes in sea level. During the last ice age — some 15,000 years ago — the sea level was as much as 400 feet (120m) lower. Plateaus were built and eroded. The plateaus that compose the Turks & Caicos now rise more than 8000 feet (2400m) from the ocean floor. On all of the Islands caves can be found. These have been formed when slightly acidic water dissolves the limestone. The caves on Middle Caicos form the largest cave network in the Bahamian archipelago. 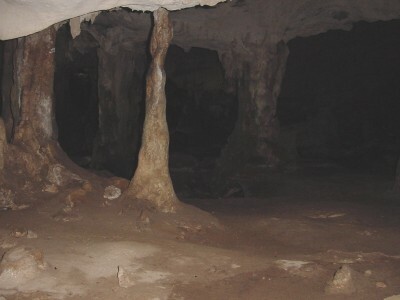 These caves are ideal habitats for wildlife and were used by the Lucayans, for whom they had religious significance. For a short while there was a guano industry, where bat droppings were collected for use in the production of fertiliser. These sinkholes and caves provide wonderful sources of research material for paleontologists and archaeologists. The porous nature of the limestone means it does not hold water well. This has meant that fresh water is difficult to find and occurs where rain water has accumulated and floats on the more dense salt water table. There are several natural wells on the Islands but humans have relied on collecting rain water and in more recent years this has been done through collecting rain runoff from the roofs in large storage tanks. Shallow depressions in the limestone contain a heavily alkaline salt water that seasonally evaporates, depositing gypsum, calcium carbonate, and sea salts. These salinas attracted salt rakers from Bermuda in the 17th century. Seasonal laborers on the islands, they eventually became permanent settlers and formed the basis of the salt industry which lasted into the mid-20th century.